got my new power cab from hattons yesterday. 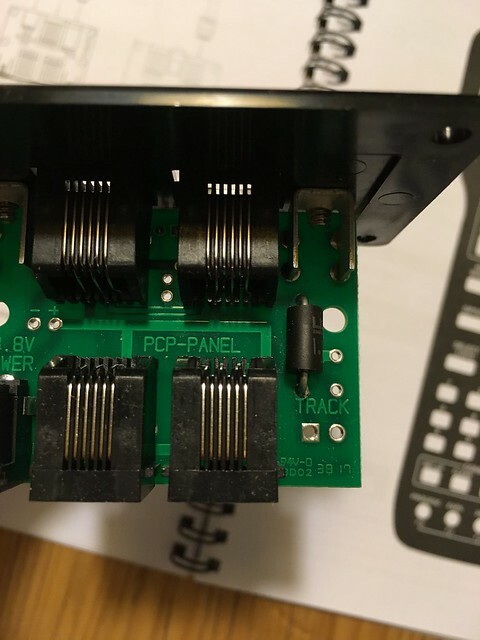 however on inspecting the pcp, power control panel, i see that the part that on the circuit board that the track connector clicks into is missing! wtf?! what should i do? do i go through the hassle of sending it back to hattons? 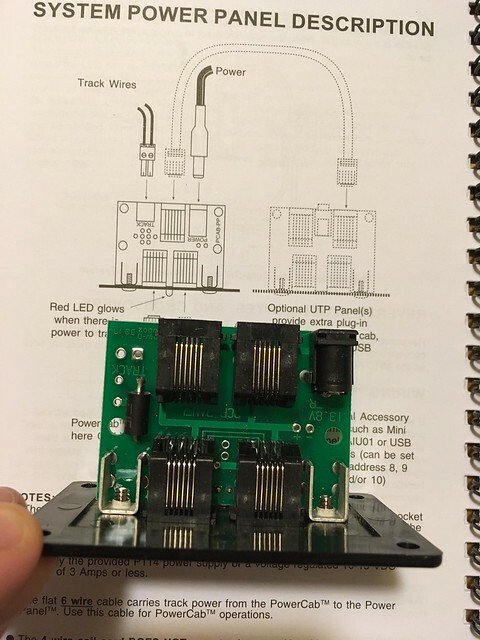 or will i solder the track wires directly to the board? I would just email them a picture and ask for a replacement. If they want the other one back then put the P&P up front for you. You should contact Hattons and arrange for a return and replacement. 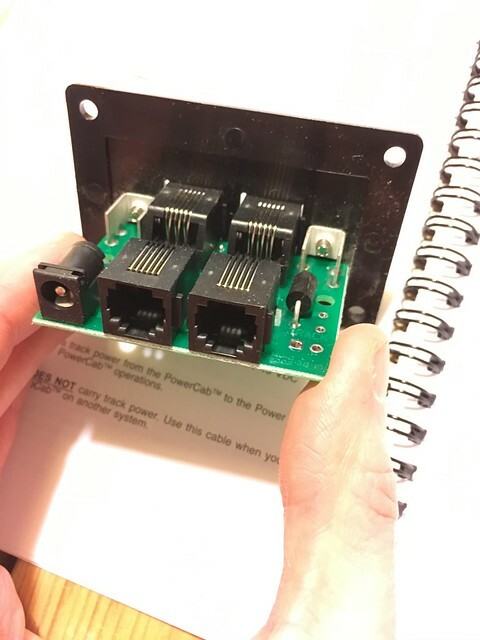 The plug with two screw terminals and PCB soldered on socket it mates into are missing (unless they are in the box somewhere?) and then you could solder them on yourself. But personally I would return it. i saw last night that it was the v2 alright. what a pain in the a*** this is!! i have the screw terminal plug alright but the receptor for it is not around. i did think that it 'fell' off but no sign of it anywhere. It's Hattons responsibility to see that you get one with the connector fitted, but, that looks to me like there was no attempt to fit one, and as they are made in batches there is every possibility that, (a) there's a whole batch the same' (b) all of those in stock at Hatton's are the same. So unless you can persuade some one at Hattons who understands what's missing to open boxes until he finds a good one, you might be better off contacting Gaugemaster directly. In all of my dealings with them over thirty years or so, I've found them to be helpful and not frightened to put their hand up if they've got something wrong. Bufferstop wrote: It's Hattons responsibility to see that you get one with the connector fitted, but, that looks to me like there was no attempt to fit one, and as they are made in batches there is every possibility that, (a) there's a whole batch the same' (b) all of those in stock at Hatton's are the same. So unless you can persuade some one at Hattons who understands what's missing to open boxes until he finds a good one, you might be better off contacting Gaugemaster directly. In all of my dealings with them over thirty years or so, I've found them to be helpful and not frightened to put their hand up if they've got something wrong. Nothing to do with Gaugemaster. Its NCE made in the USA and imported by various retailers. Dealing with Hattons is your best action. My mistake, GM supply the same (or v. similar) for their Prodigy, which is presumably a rebadged NCE model. I would see if you can find a picture of what's missing, just in case there are a lot like yours just to save getting another just like it. The Prodigy is a rebadged MRC product. There's a factory somewhere with a lot of different badges, nearly as bad as the mini assembly line at Longbridge, and yes they did occasionally make one with a different badge each end.